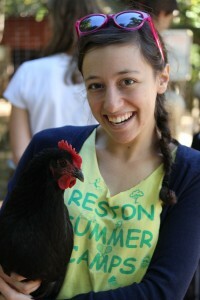 Diane Litwin Common Ground’s Farm Manager. Diane has taught on-site and off-site after school programs, field trips, and summer camp. Diane brings five years of farming and education experience to the School Garden Resource Center team. She holds a degree in Elementary Education and loves fermented foods. For more information on Field Trips, check out our Field Trip page.